Growing up amidst the thriving underground music scene of Glasgow, and as the son of longtime Sub Club resident Harri, Jasper James’s delve into the music industry was inevitable. Teaching himself how to mix at the age of 13, and exploring genres house, acid, hip-hop, breakbeat, and techno, his first ever productions were signed by no other than Optimo. What followed was a whirlwind of success, which has seen him play some of the world’s most influential venues such as fabric, Printworks, and Berghain, alongside the artists that inspired him, Gerd Janson, Carl Craig, and Optimo to name a few. Fresh from releasing a new EP ‘Crypto‘ on his imprint record label Mitchell Street Records, Jasper James gears up for his upcoming Australian tour. Jasper James’ career has come a long way since his arrival on the scene. Emerging from his roots as a leading tastemaker in Glasgow’s vibrant house scene and breaking away from his peers to become more than just a ‘one-to-watch’ but a respected figure in his own right. A DJ and producer with talent that stretches beyond his years, he’s crafted and developed his own brand of off-kilter house and heads-down techno through extended DJ sets at some of the worlds most respected clubs. Having graced the decks with high accolades in venues such as Fabric, The Warehouse Project, Smartbar, Blitz, Lux, Bobbeaman and of course, Sub Club. Just as comfortable in Ibiza as he is playing a festival, Jasper represents the same whether on the big stage or an intimate basement. Following the success of his year-long residency at London’s Phonox back in 2015 (playing extended 6 hour sets every Saturday night), Jasper moved up to #69 on the Resident Advisors Top 100 DJs and continued to develop his own sound through his ‘Homework’ tours alongside compatriots Tom Trago and Bambounou, whilst playing back to back with best friend and brother in arms Jackmaster wherever possible. To truly understand the rare musical bond the two Glaswegians share, its recommended you check their improvised ‘Mitchell Street’ mix series, named after the infamous shared flat just around the corner from Sub Club. Jasper’s musical heritage goes back a long way – a facet of his make-up that also explains his measured, mature and beyond-his-years demeanour. Taught to DJ at 13 he went onto hold the rare accolade of being the youngest DJ ever to play the legendary Sub Club in Glasgow. 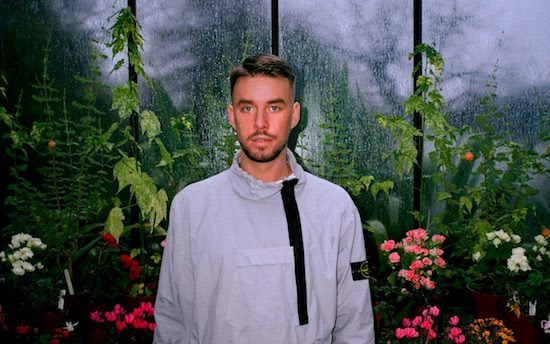 Since those early sets, Jasper has gone onto develop his own unique style, comfortable holding his own during b2b sets with revered DJs such as Gerd Janson, Optimo and Craig Richards. Following the success of his early releases, he has been hard at work in the studio to expand his own signature sound, playing with a more heads down yet energized version of techno that stays dubbed out and hypnotic but ready for a dancefloor. Keen to expand his own repertoire and knowledge, Jasper launched his own label ‘Mitchell Street Records’ with two of his own original productions ‘Crypto’ and ‘These Are The Beatz’ with both set for release later in 2018. Immersing himself in the A&R process, the label currently has a busy release schedule lined up with contributions from friends both old and new. Jasper also announced a temporary move to Amsterdam this summer to continue building ties with Europe’s wider electronic music scene and cement himself as one of the UK and Europe’s leading young selectors capable of working any crowd, at any time.